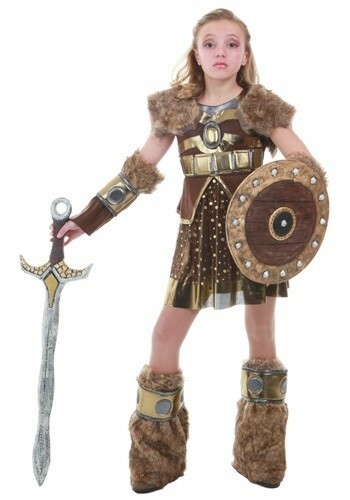 This Halloween, give your daughter a costume that truly matches her warrior spirit! 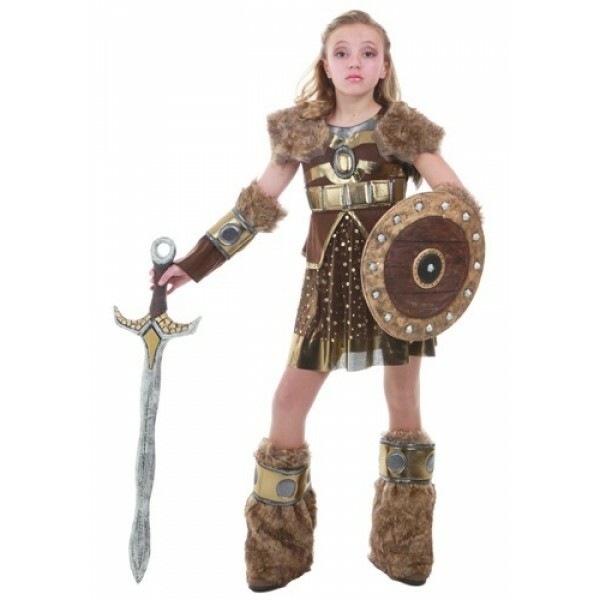 Astrid fans or history buffs will love this viking warrior costume from Princess Paradise. This costume set comes with a sleeveless pullover dress in faux suede with a faux fur collar and gold accents, a pair of gauntlets with faux fur cuffs, and a pair of leg warmers. Please note: sword and shield not included.